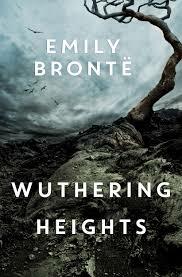 Review: Describing Catherine and Heathcliff's relationship as a 'wild, passionate and almost demonic love' is quite a stretch. I read this in high school and found it okay. I reread this for book club a few months ago and my opinion didn't change much. Essentially, Catherine loves her foster-brother Heathcliff but he's 'below her station.' She marries someone else, Heathcliff betters himself and then marries Catherine's sister-in-law. Everyone's kids marry each other. Everyone is pretty much unhappy and bitter. It's a gothic soap opera and has some interesting story lines, but I just find the writing style very boring. Overall-it's a classic. Everyone should read it at least once.